When does a (typically) vegetarian caterpillar become a cannibalistic caterpillar, even when there is still plenty of plant left to eat? When the tomato plant it’s feeding on makes cannibalism the best option. “It often starts with one caterpillar biting another one in the rear, which then oozes. 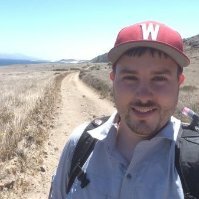 And it goes downhill from there,” says University of Wisconsin–Madison integrated biology Professor John Orrock, author of a new study published July 10 in Nature Ecology & Evolution that examines how plants, in defending themselves from insect predation, can encourage insects to become cannibals. “At the end of the day, somebody gets eaten,” he says. It started when Orrock wondered whether a tomato plant could ever taste so horrible that an herbivore that would typically munch on its green leaves would instead turn to its buddy and begin to consume him or her instead. 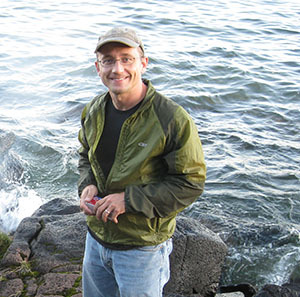 “Many insects are known to become cannibalistic when the going gets tough,” says Orrock. 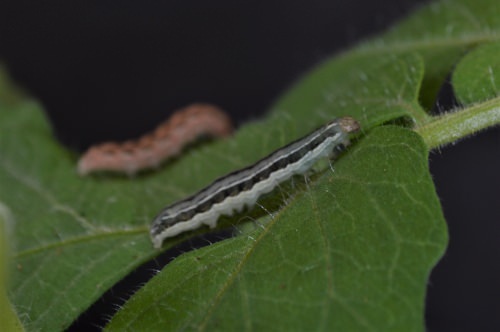 So Orrock, his postdoctoral researcher Brian Connolly, and Anthony Kitchen, an undergraduate student in the lab, devised a set of experiments to test their idea using tomato plants and a species of caterpillar called the beet armyworm. Unlike animals that can flee from hungry predators, plants are rooted in place. However, plants aren’t defenseless. When danger looms, many plants can produce chemicals like methyl jasmonate that act like a chemical scream. Other plants can detect this scream and begin to invest in their own defenses, producing chemicals that deter herbivores, in case they are next on the menu. To test the effect of plant defenses on herbivore behavior, the researchers sprayed tomato plants in plastic containers with either a control solution or a range of concentrations of methyl jasmonate — low, medium and high — and then added eight caterpillar larvae to each container. They counted the number of caterpillars remaining each day to determine how many had been eaten, and after eight days they weighed how much plant material each treatment group had managed to preserve. In the control and lower-concentration treatment groups, the caterpillars ate the entire plant before turning to cannibalism, but the plants sprayed with the highest levels of methyl jasmonate stayed mostly intact. Caterpillars living with the well-defended plants became cannibalistic much sooner than their leaf-eating counterparts with access to the less-well-defended plants. In a second experiment Orrock conducted while on sabbatical at Virginia Commonwealth University, he added a single caterpillar larva to containers holding leaves from plants that were not sprayed with methyl jasmonate or containing leaves from plants sprayed with a moderate level of the chemical. To some containers he also added freshly frozen-and-thawed caterpillars that appeared alive. It was important to ensure the flash-frozen caterpillars looked enticing enough to serve as a potential meal for a living caterpillar, but were not actually alive to consume plant material. Once again, caterpillars with access only to well-defended plant leaves and lifelike dead caterpillars turned to cannibalism sooner than caterpillars for whom less-nasty plant leaves were available, and they ate far less leaf material. The cannibalistic caterpillars on defended plants grew at similar rates to caterpillars given access to undefended plants, which consumed the plant material available to them before turning to cannibalism. Meanwhile, caterpillars housed with well-defended plants and no fresh caterpillar carcasses ate less plant material and had very low rates of growth. “The next step in this work is to figure out whether accelerated cannibalism would slow, or increase, the rate of spread of insect pathogens,” says Orrock, who says the researchers also hope to better understand whether caterpillars are as quick to turn to cannibalism when they are not trapped with a single plant, as they were in the lab.